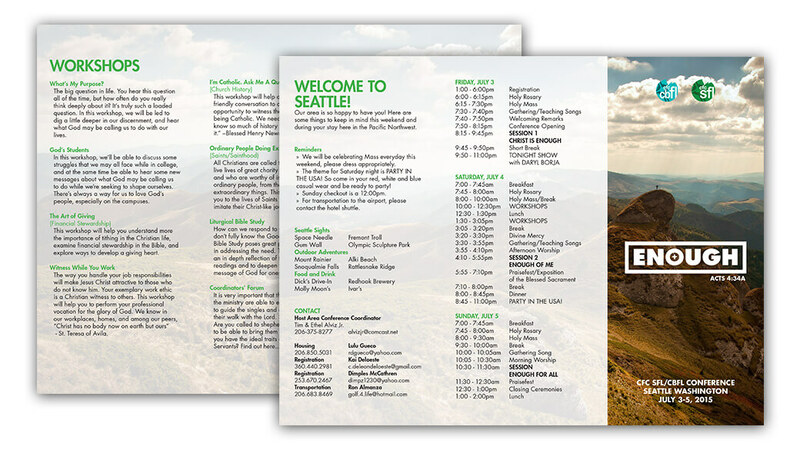 Flattened brochure art, with schedule, workshop description, and other important information. 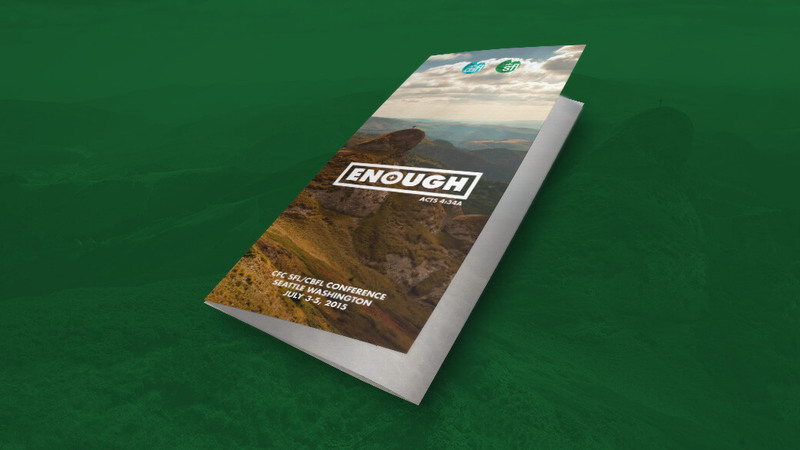 ENOUGH was a weekend-long national conference for Christian/Catholic young adults. Illustrated through workshops, speakers, and reflective sessions, the primary message of this conference was that Christ is the source of fullness in our lives. I was part of a team assigned to all the visual aspects of the conference, which included videos, presentation backgrounds, and marketing material. My primary piece was a brochure with the weekend’s schedule and important information for the participants. Starting with an existing look and feel, I developed a folded brochure and a digital version that could be downloaded to a smartphone. 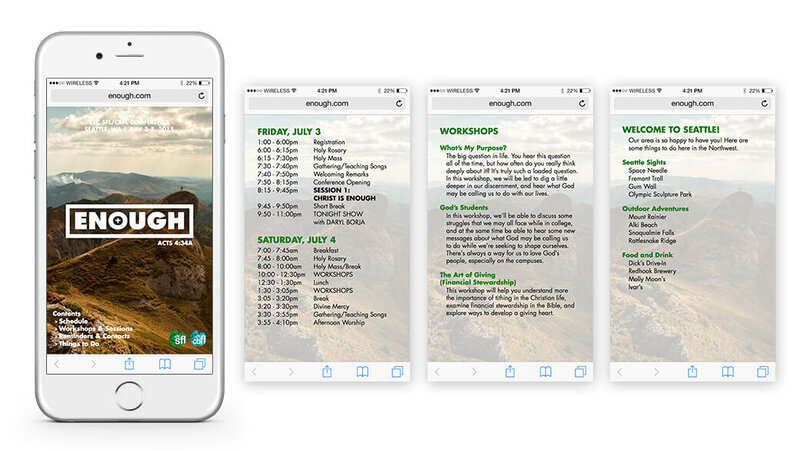 Digital version of brochure designed to fit within a smartphone browser or PDF reader. I also worked on pieces for Instagram and Facebook throughout the weeks prior to the conference. They were used to announce registration deadlines, count the days prior to the conference, and promote special events during the weekend. 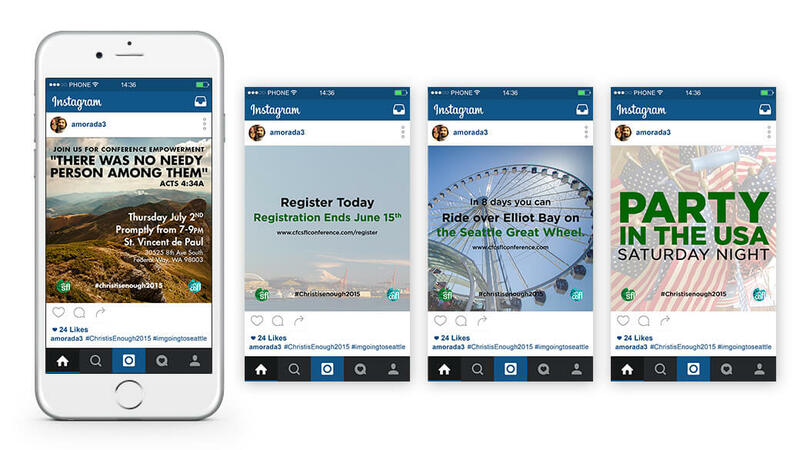 Various Instagram posts promoting related events, registration deadlines, and countdowns.